Iconic Real Photography — Is New Home Construction Right For You? Part 3: The Good, The Bad and The Reality of Home Building! Part 3: The Good, The Bad and The Reality of Home Building! Ensure that the builder provides a home warranty for 1 year at a minimum. They should allow for you to provide a list of defects twice during this first year (ex. 60 days and 11 months after closing). The cost of repair for these defects should be covered entirely by the builder. Some builders will provide coverage for up to 10 years on major structural defects. The important thing is to actually read the home warranty and make sure you understand it fully. There may be different coverage timeframes and terms on different components of the home such as HVAC and plumbing verses the roof. Other components such as household appliances or minor cracks in cement may not be covered at all. Also, ensure that you understand how to file a warranty claim and the legal aspects of the warranty if a dispute arises in the future that cannot be resolved directly between you and your builder. Often times you may walk into a model home and see many beautiful finishes such as granite countertops or hardwood floors, but what you are not initially seeing is the associated price tag. Builders will typically include all the bells and whistles on a model home to attract new home buyers therefore make sure that you discuss finishes with the builder or the builder’s sellers agent to determine which are included and which are upgrades. Be aware that there will be a base level, typically referred to as "contractor grade", for all finishes throughout including countertops, flooring, tile, hardware, paint, garage doors, windows, etc. if you are using a Production Home Builder. If you choose a different model, color, material, or quality on any of these items you may be charged extra as that is considered an upgrade. This could include an additional cost for not only the material, but also the labor. For example maybe you want to have the tile laid on a diagonal pattern verses straight, this could cost more due to the additional labor time. When considering options and upgrades always consider your budget first, but don’t be afraid to add some finishes that will increase the resale value of the home in the long run especially in areas such as the kitchen and bathroom. You may think that you are going to build a home and retire in it, but my experience has proven that life can throw a few curve balls and this may not happen. Also, consider the average time people typically live in a home is for 5-7 years. You typically have two options when paying for options and upgrades, cash payment before closing or finance it through your mortgage. If you include it in your mortgage it will increase your monthly mortgage payment, but it may be such a small amount that it won’t negatively impact your monthly living budget. One last piece of advice when choosing options and upgrades. Always take samples of the materials you are considering whether it is carpeting, paint/stain finishes or tile and look at them in different types of lighting. The colors and finishes can look completely different when viewed in natural outdoor light coming through a window verses a tungsten lightbulb in the evening. Believe me it’s worth the time and effort to do this as you will be the one staring at the green carpeting everyday when you were really wanting gray. Any changes you make to the home, including options and upgrades, that are different from what is shown on the home plans should be recorded in writing. If these modifications are not recorded in writing on the original contract signed before home construction begins then they will typically be handled on what is referred to as a “change order”. Although you may discuss a change with your project manager or subcontractor on site be sure that this change is recorded in writing and signed by both you and your builder. Even if the project manager or subcontractor tell you orally that they will make the change. If it is in writing then you have proof of the change. Make sure you understand your builder's process in reference to communication and filing a change order. Some builders will have you initially contact your assigned project manager about changes while others may have you work with the builder’s sellers agent. 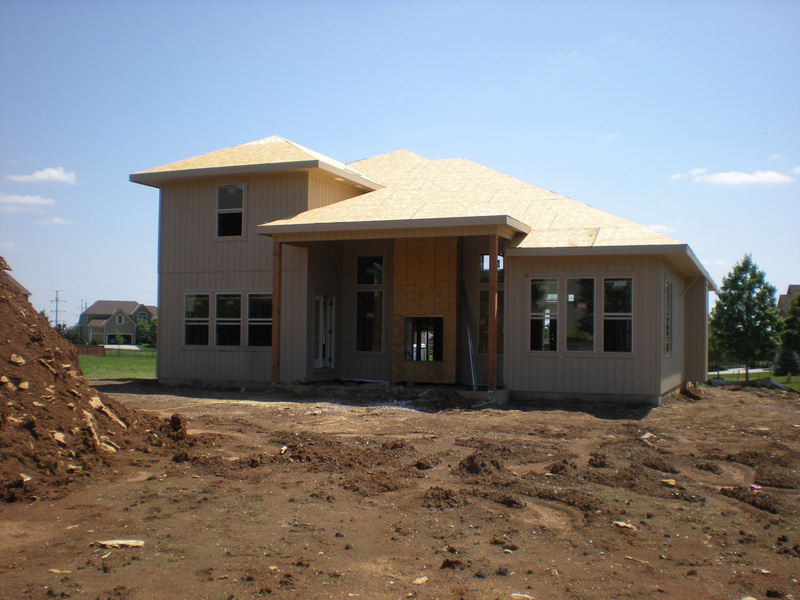 You will have a final walkthrough of the home with your builder before closing. During this walkthrough the builder will make a list of any defects found or items that were not quite finished. My advice is to ensure that every last item on this list is completed before you close. My experience is that the builder will be much more eager to complete the items on your list before you close, then after they have your money. If you’ve read all three articles in this series and feel that new home construction is for you then come back to read the final article in this series explaining why you need to obtain a buyers agent to help you navigate the home building process. The best reason is that it is free to you as the buyer!